Alcatel Submarine Networks (ASN) has signed a contract to supply the Southern Cross Next submarine cable, based on an open cable architecture, leading to the manufacturing and construction phase of the project. The US$350 million Southern Cross Next project is expected to provide an additional 72 terabits per second of capacity for Southern Cross customers, and is expected to be completed in 2021. It is set to be the largest capacity, lowest latency link between major data centres in Los Angeles, Sydney and Auckland. Using branching units, it will also provide key interconnecting infrastructure for the South Pacific, connecting participating countries such as Fiji, Tokelau and Kiribati; and offering greater options to the existing cables from Vanuatu, Samoa and Tonga connecting to Southern Cross in Fiji. The solution will use ASN’s submarine WSS ROADM units, the latest generation of repeaters and will offer high performance and powering resilience, enabling over 72 terabits per second transmission capacity. The Open Cable system is also designed to be compatible with future generations of submarine line terminal equipped with Probabilistic Shaping technology. “The Southern Cross team has worked tirelessly alongside ASN to design a high capacity system on the optimum marine route between Sydney and Los Angeles, and this contract shows that the hard work has paid off,” Southern Cross Cables president and CEO Laurie Miller said. In December, Telstra revealed its intentions to acquire a 25 per cent stake of the joint venture, which also saw the departure of CEO and president Anthony Briscoe, and the appointment of Miller to the top role. 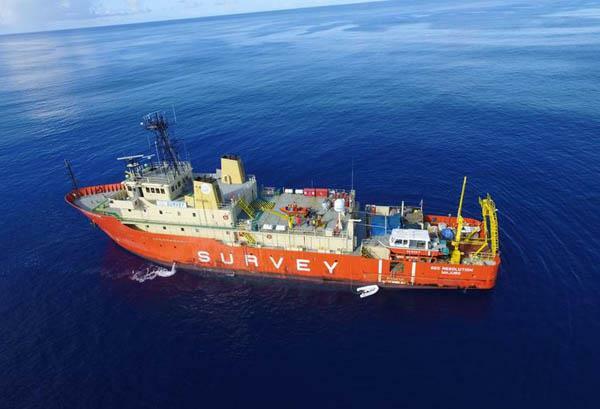 Southern Cross, which has shareholders from Spark New Zealand, Singtel and Verizon Business, owns and operates the trans-Pacific Southern Cross Cable network, which comprises 30,000km of submarine fibre, 15 access locations and operating across four countries. Upon the acquisition announcement, Telstra group executive for enterprise Michael Ebeid called the cable route between the US and Australia as “extremely important”, saying it accounted for more than 80 per cent of all the internet traffic to Australia.